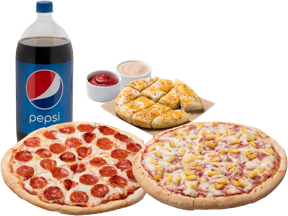 Includes two (2) Large 1-topping pizzas, Fresh QuesoStix, two (2) Fresh Dips & 2-Liter Drink. 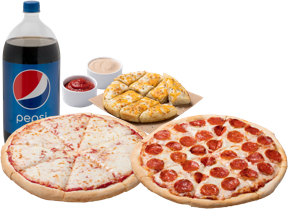 Includes one Large Specialty pizzas, one (1) Large 1-topping pizza, Fresh QuesoStix, two (2) Fresh Dips & 2-Liter Drink. 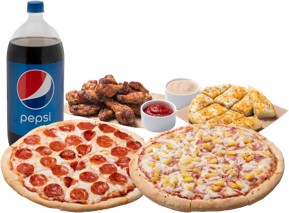 Includes one Large Specialty pizzas, one (1) Large 1-topping pizza, 8 Wings, Fresh QuesoStix, two (2) Fresh Dips & 2-Liter Drink. 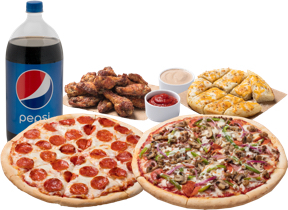 Includes one Large Specialty pizzas, one (1) Large 1-topping pizza, 16 Wings, Fresh QuesoStix, Four (4) Fresh Dips & 2-Liter Drink. 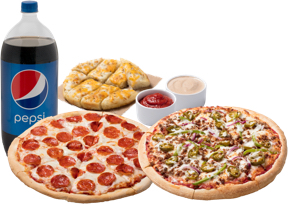 Includes two (2) Patrón XL 1-topping pizzas, Fresh QuesoStix, two (2) Fresh Dips & 2-Liter Drink. 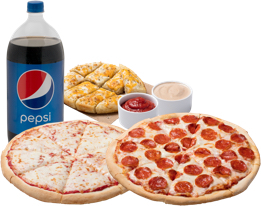 Includes one Patrón XL Specialty pizzas, one (1) Patrón XL 1-topping pizza, Fresh QuesoStix, two (2) Fresh Dips & 2-Liter Drink. 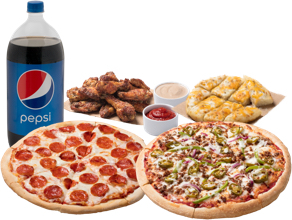 Includes one Patrón XL Specialty pizzas, one (1) Patrón XL 1-topping pizza, 8 Wings, Fresh QuesoStix, two (2) Fresh Dips & 2-Liter Drink. 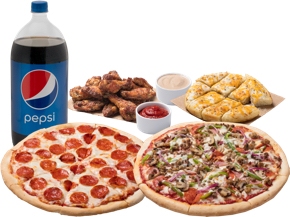 Includes one Patrón XL Specialty pizzas, one (1) Patrón XL 1-topping pizza, 16 Wings, Fresh QuesoStix, Four (4) Fresh Dips & 2-Liter Drink.